The William Farrer Hotel’s Super Punters Club (SPC) enjoyed a TAB Everest day windfall of more than $200,000. The third placing to their Kosciuszko runner Awesome Pluck was only the start of a monster stay for the 480-strong Wagga group. A free $5000 bet awarded to the William Farrer Hotel was also successful and landed the SPC another $154,000. William Farrer Hotel publican David Barnhill, who was awarded the $5000 bet, passed it onto the SPC after he and the group purchased about $20,000 worth of Kosciuszko tickets. 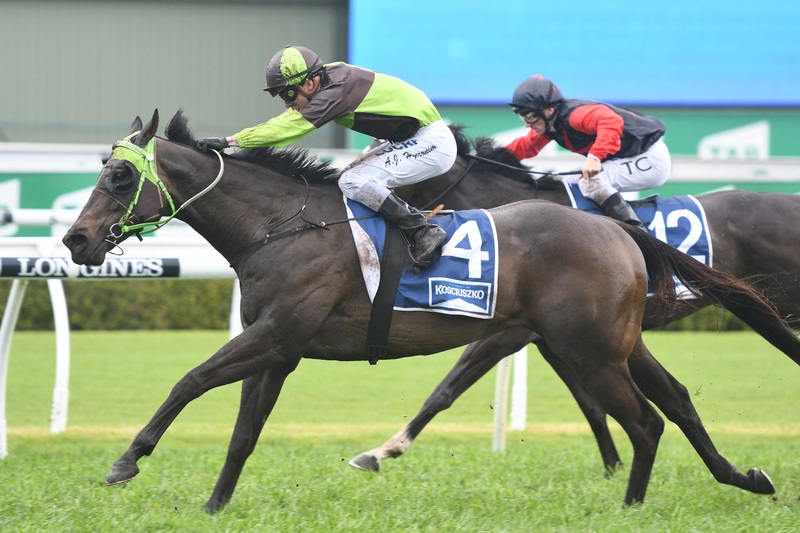 The $5000 bet was a two-leg horse racing multi bet, placed on Awesome Pluck to place in The Kosciuszko at $4.40 and Redzel to win the Everest at $7. The two legs combined for an overall multi-price of $30.80. Redzel’s victory in the TAB Everest prompted wild scenes both on track among the SPC at Randwick and members at home at the William Farrer Hotel. Barnhill said it was a day and night to remember. Plans for how to spend the money are already well underway. A portion of the windfall will go into purchasing a horse for the SPC to race, while the remainder will be distributed among the teams at the end of year celebration next Saturday. Barnhill said the whole Kosciuszko experience had been an unbelievable ride. “It was just amazing,” he said. “It was good just to get the slot to start off with and the whole process from then on has all been pretty exciting. The SPC, through their 50-50 deal with connections of Awesome Pluck, pocketed $55,250 for his third placing in the Kosciuszko. That was after the group’s initial representative, Care To Think, was withdrawn on Wednesday morning just over an hour before race acceptances. Barnhill said everyone was rapt with Awesome Pluck’s performance: “It was an unbelievable run,” he said. “We went and met Jenny Graham in the stables and with the weather, she was really confident. She had more of an opinion of our horse than she did of the favourite in the conditions. To cap off a winning weekend, a number of the SPC members purchased Redzel at the Royal Oak Hotel calcutta on the Friday night. Meantime, The Rock’s Josh Seach finished fourth in the Kosciuszko with Don’t Give A Damn.